HOW expensive are iPhone chargers these days? WAY expensive. The premium Apple puts on its accessories can make for a very sad emoticon face. But while it’s tempting to spend your hard-earned money on cheaper versions of these much-needed accessories on eBay there are very good reasons not to. 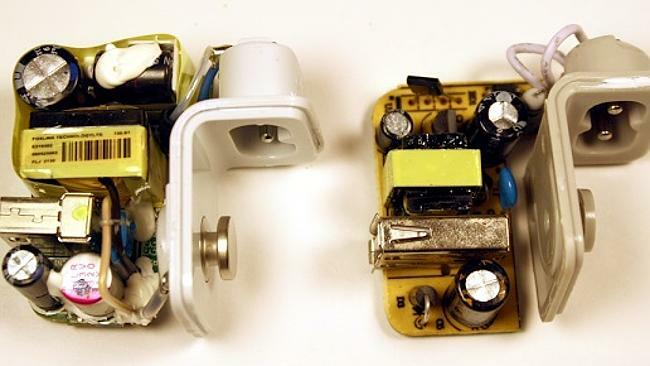 Ken Sherriff, one very enterprising blogger and engineer, recently tore apart an authentic Apple iPad charger as well as a counterfeit version and found that not only did the fake version not deliver the same power quality but it was actually unsafe. The counterfeit charger was advertised as 10W, but was just a 5W charger which means it will charge your iPad at a much slower speed than the authentic version. The counterfeit charger also had fewer parts, less insulation and was put together poorly. 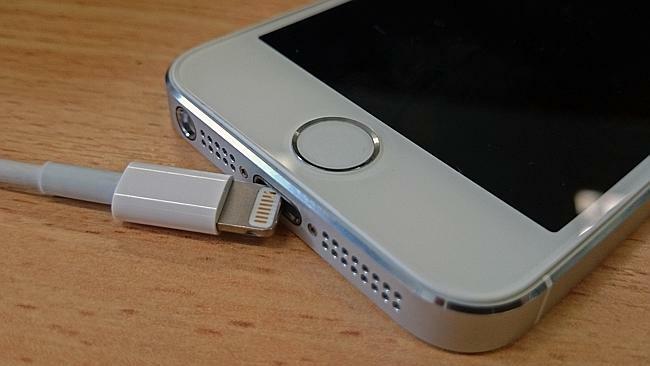 Apple now requires all third party cables and accessories that use the iPad or iPhone’s lightning port to have a chip inside that verifies them as being Apple approved. Most cheap cables on eBay don’t have these chips and won’t work with your phone at all, effectively flushing your money down the toilet. So while there are many mobile accessories such as hundreds of Hello Kitty cases that you can buy safely on eBay, the moral of this story is that chargers/cables aren’t one of them. Sheryl Aldeguer left behind two young children and a husband when she was electrocuted by a faulty USB phone charger in her rented room in Gosford in April. The 28-year-old, from the Philippines, was to start work as a theatre nurse at Gosford Hospital within days of her death. Authorities used Ms Aldeguer's death to warn consumers against buying rip-off USB-style chargers. The young woman was wearing headphones and holding her laptop when she was found dead with burns on her ears and chest, in an apparent electrocution. She had spent six months in Melbourne converting her nursing training to Australian standards and she had hoped her young family would join her within months. A report will be prepared for the coroner after her body discovered about found 4pm on April 23. Brisbane Waters police are investigating the circumstances surrounding her death. More of the chargers seized from the stall in Campsie. NSW Fair Trading Commissioner Rod Stowe said a number of USB-style chargers, travel adaptors and power boards that did not meet Australian safety standards had been removed from sale at a mobile phone accessory stall in Campsie, in Sydney's south-west, following the death. Mr Stowe said authorities were not aware until now of the large number of the cheap chargers that were available for sale in NSW. "This is the first time we've been aware of them in large numbers," he said. The chargers have been linked to the death of a woman. While this was so far the only known fatality potentially associated with the devices, Mr Stowe was concerned that the public be informed as soon as possible to avoid further deaths. "We're only familiar with this one incident and it does look like one of these devices are implicated in the electrocution," he said. The woman's death is under investigation by police and Fair Trading was unable to release any further details. Mr Stowe said she was found with a lap top and headphones in her ears. "[She had] burns on both ears and her chest," he said. The Campsie trader faces fines of up to $87,500 and/or two years' imprisonment. A corporation can be fined up to $875,000. Mr Stowe said the rip-off, cheap chargers were low quality plastic that could melt. The devices found by Fair Trading had no insulation on pins or approval marks. In a statement, Fair Trading said electrical products sold in NSW had to comply with the Electricity (Consumer Safety) Act to ensure they met Australian Standards. Consumers who have already bought unapproved and non-compliant USB-style chargers, used to charge phones and tablets, are advised to bend the pins on the chargers and throw them away immediately. People should also not use any electrical devices while they are plugged in and charging. Anyone with information about unapproved and non-compliant electrical or gas products should contact Fair Trading on 13 32 20.